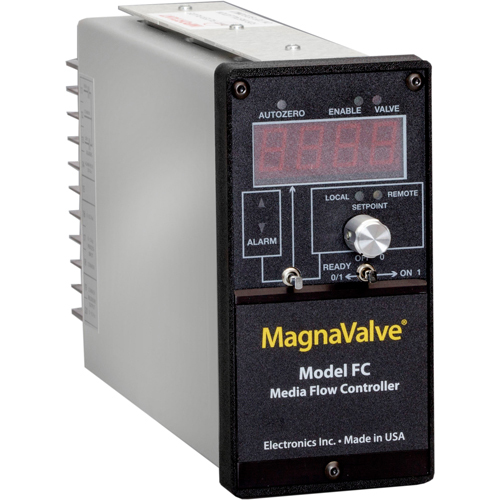 The FC Controller provides a closed-loop system for the 120 Vac Series (578, 579, 580 590) MagnaValve and the 500-P MagnaValve. 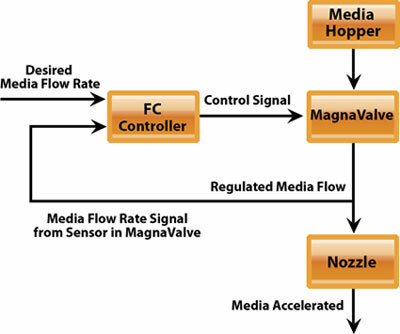 The MagnaValve® and controller provide accurate regulation of steel shot in shot peening and blast cleaning applications where accurate and repeatable flow rates are desired. The controller may operate as a stand-alone control or work with a customer’s programmable controller via standard analog 0-10 Vdc interface. 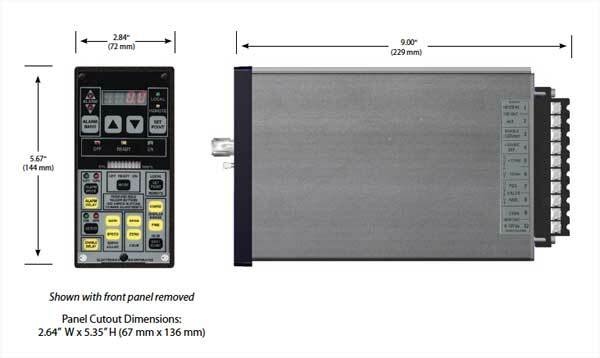 A clear and comprehensive installation manual simplifies installation for the FC Controller and the product is supported by the Electronics Inc. application engineering staff.